nFLOW brings your ATV/UTV, Agricultural, Commercial, and/or Industrial Engines Roaring to the front of the Pack. 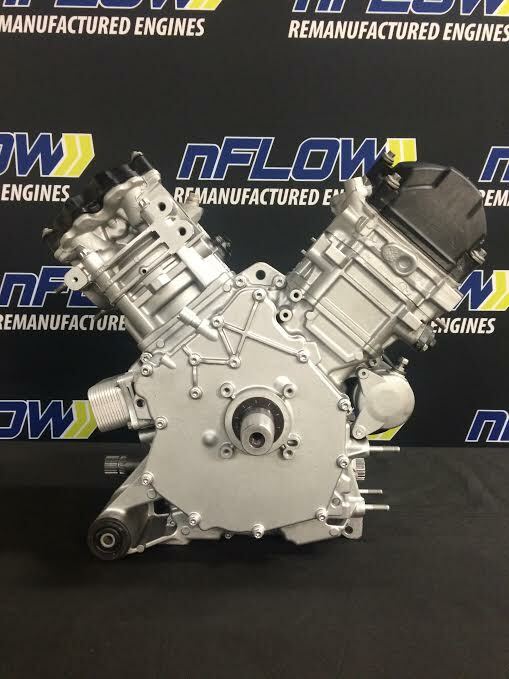 nFLOW specializes in remanufactured and rebuilt engines, fuel injection pumps and injectors, turbochargers and premium components along with engine machining. We have the products and services to satisfy your needs. Click on our product pages or contact us for more information. Join the growing number of power and motorsport operators who recognize the world class quality, reliability and affordability nFLOW offers. Our engines, injection pumps, turbochargers, injectors, components and machining services are offered to customers globally on a daily basis. Our trusted network of installers will remove your old engine and install a premium nFLOW rebuilt engine. You may choose to remove and install the engine yourself or take to a repair shop of your choice. Our products and services are shipped or performed promptly and most stock products include a warranty. Our products are not to be used by anyone under the age of 18 years old. Can-Am is the recreation-utility (RTV) and ATV division of BRP, Bombardier Recreational Products. The Maverick line features the 101-hp 1000 Rotax® V-Twin engine. Listed here is a remanufactured Maverick 1000R engine which is often used to power the Can-Am Maverick X MR DPS, standard Maverick, and the Maverick MAX. Our work focuses on remanufacturing this already outstanding engine, restoring the engine's power. All of our engines are completely disassembled, extensively cleaned and inspected upon arrival to determine engine failure. Any worn or damaged parts are replaced using new premium quality components. This Can-Am Maverick engine was assembled with precision, using stringent operating procedures. "nFlow has been exceptional to work with. We appreciate how hard they worked to accommodate us and the need for a new motor. Our Teryx is back up and running….better than ever, thanks to nFlow!!"